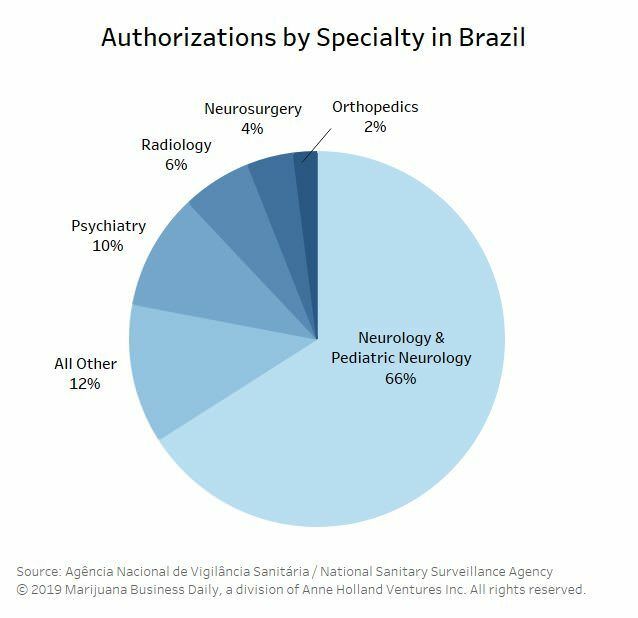 The medical cannabis structure that requires patients in Brazil to get individual authorizations to import their MMJ products is “insufficient” to meet growing demand in the country, according to a former sanitary surveillance agency director. The continuous increase of individual authorizations to import medical cannabis could force Agencia Nacional de Vigilancia Sanitaria (ANVISA) to make changes to the existing process, Dirceu Barbano told Marijuana Business Daily. 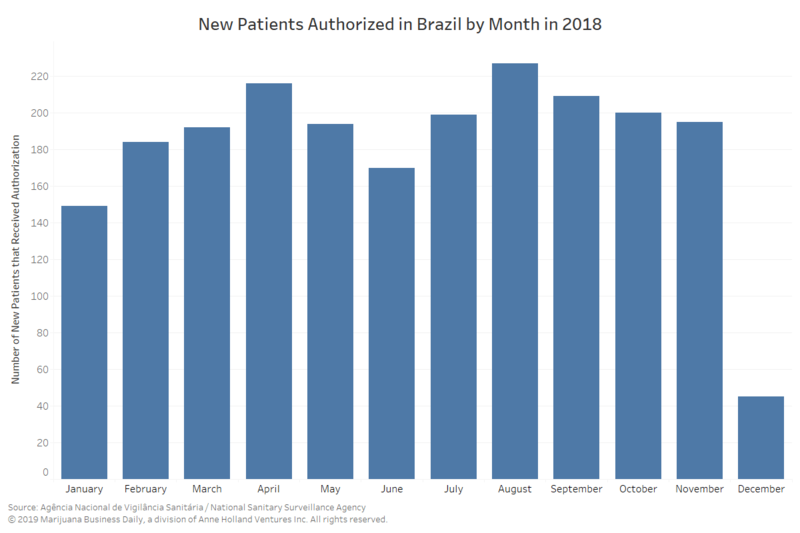 During 2018, 2,180 new patients obtained permits from ANVISA to import medical cannabis, according to information obtained exclusively by Marijuana Business Daily from the Brazilian agency. Since the system launched in 2014, a total of 4,870 patients have received authorization, which are valid for one year. Not all patients renew their authorizations, so the active count may be lower. The majority of products have arrived from the U.S., but “considerable quantities” of medical cannabis have been imported from Canada, the United Kingdom and Switzerland as well, according to ANVISA. From a Brazilian perspective, any medical product from cannabis is considered a nonregistered controlled medicine, regardless of the amount of THC. The only registered cannabis medicine in Brazil is Sativex, sold in the country as Mevatyl. “Despite being the only registered medicine that can be sold in Brazilian pharmacies, it’s almost impossible to find it,” Norberto Fischer, spokesman for HempMeds Brazil and father of Anny, the first authorized patient in Brazil, told MJBizDaily. 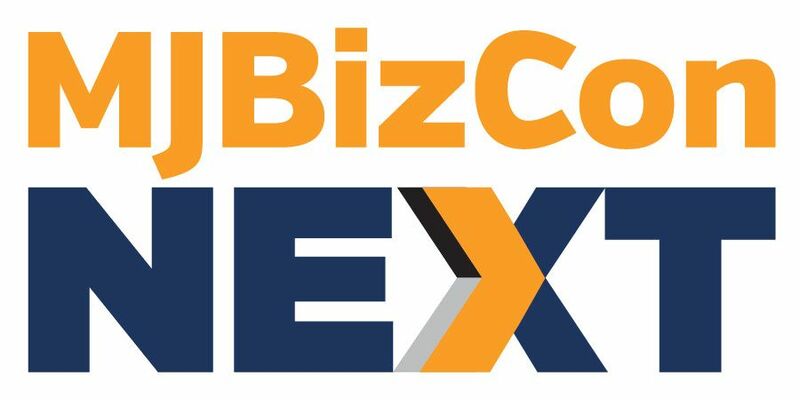 HempMeds claimed to be the first company to export a “cannabis product” to Brazil, in 2015, and MedReleaf claimed to be the first to export “medical cannabis” to Brazil, more than two years later. A bill that would allow patients to grow their own cannabis at home is being discussed in the parliament. According to data accessed by MJBizDaily, between the program’s launch and May 2018, about 78,000 units of cannabis products were imported. During that period, ANVISA received 36 reports of patients declaring adverse reactions, 10 of them serious. All the cannabis products imported were prescribed by fewer than 1,000 physicians, with 2/3 of authorized patients receiving a prescription from a neurologist. “The increase in the number of patients is inevitable and expected by doctors, health authorities and companies,” Barbano said. “But, as usual in Brazil, planning for it is precarious and sometimes chaotic. @AlfredoPascual Are these only CBD products imported into the country, or is ANVISA also authorizing medicinal cannabis with THC?